12 different designs in 3 sizes each. 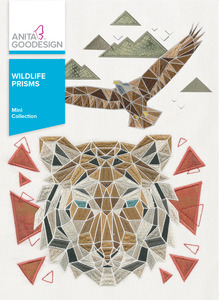 In this collection you will find animals like a peacock, an elephant, a tiger, and flamingo to name a few. These designs look great on bags; fleece blankets, throw pillows, and more. 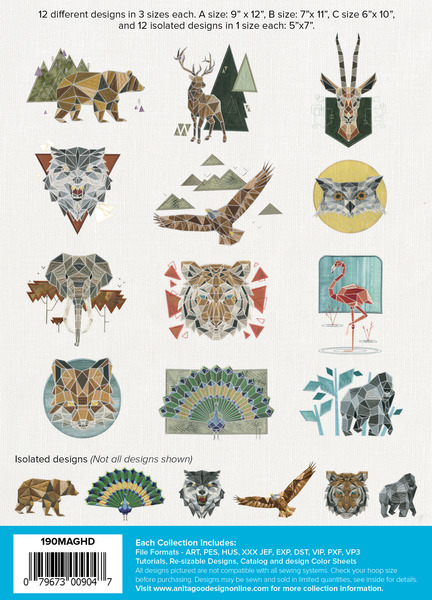 This collection of animals were designed using geometric shapes. The end result is a modern take on nature. There are 12 designs and each come in 3 sizes. The animals are paired with geometric backgrounds, and we also created smaller simplified designs without any background elements. 12 different designs in 3 sizes each. A size: 9” x 12”, B size: 7”x 11”, C size 6”x 10”, and 12 isolated designs in 1 size each: 5”x7”.